Gautham Menon’s new audio company Photon Kathaas Music was launched yesterday at the Music Academy Hall on December 9th. The audio company launch took place with the presence of many Kollywood biggies like Bhagyaraj, Parthiban, Suriya, Harris Jayraj, Sangeetha, Lingusamy, Yuvan Shankar Raja, Krish, Aruna Sairam and many others. Gautham was on the dais and curious to have every celebrity present there to answer his questions, he had the mike pass on to the celebs seated in the audience section. 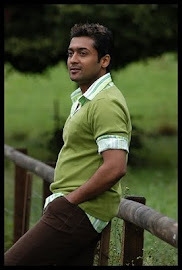 Suriya was asked about his 7aam Arivu and he replied that it will be completed in two months. 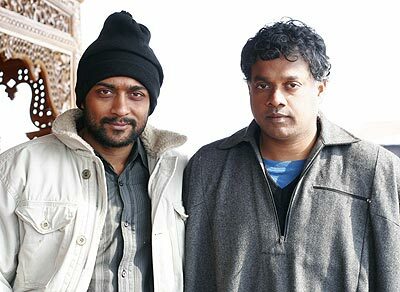 The Photon Kathaas Music label was released jointly by Harris Jayraj, Suriya and Yuvan Shankar Raja. Explaining why he chose the three to release his label, Gautham said that he loves Yuvan's music so much and is a fan of his songs. And Harris, he said is a close friend and associate, who has a good music sense. Gautham's statement that he wanted a Bollywood star at his function and had Suriya to fit the bill was received with thunderous claps from the audience.